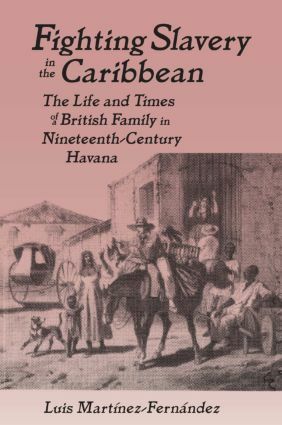 This volume presents a social history of life in mid-19th-century Cuba as experienced by George Backhouse (and his wife, Grace), who served on the British Havana Mixed Commission for the Suppression of the Slave Trade. Documented with extracts from the Backhouse's correspondence, diaries and other contemporary papers, Martinez-Fernandez paints a detailed picture of the Cuban slave trade, its role in the sugar industry, and the interrelated contradictions within Cuba's economy, society and politics. The Backhouse story provides addition al insights into important aspects of life in the "male" city of Havana, social antagonisms between Britons and North Americans, interactions with European social circles, religious tension, and the reality of tropical disease. Drama is added to the narrative in the author's description of the tragic and mysterious murder of George Backhouse in August 1855, possibly the result of a slave traders' conspiracy. Havana Bound; Settling in the Tropics; The Mixed Commission and Cuba's Emancipados; Life in "a Male City"; Leisure and Pleasure; Protestants in Roman Catholic Cuba; A Land Flowing in Milk and Pestilence; The Return Home.